Do you need your website to be responsive for the different platforms? Should we just suffer the consequences of losing visitors from one device, for the benefit of gaining visitors from another? Or is there another option? How are Responsive Website Services Reshaping the Online Landscape? In other words, the website should have the technology to automatically respond to the user’s preferences. This would eliminate the need for a different design and development phase for each new gadget on the market. Hiring the best responsive web design company has great benefits for you! Designing a different website for different platforms will no longer be your prime concern. The bounce rate due to difficult navigation on various platforms will subside. The user experience on your website will improve. 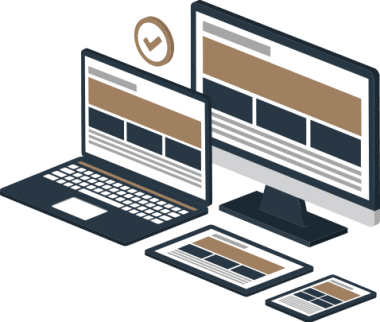 Responsive web design services will help you save time and cost that would’ve been wasted on different versions of your website for different platforms. A responsive website will present an advantage over competitor websites. We are regarded as one of the best responsive design companies in Dubai, Egypt, Abu Dhabi, Kuwait, Qatar, as well as KSA. Get in touch with us for your design requirements.